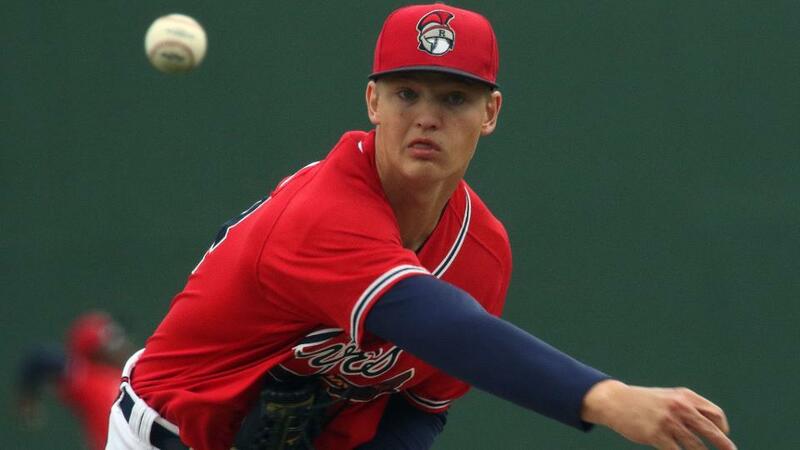 Craig Mish of SiriusXM Fantasy Sports Radio this week reported Braves GM Alex Anthopoulos as saying that right-hander Mike Soroka was "very, very close" to being ready for the big club. Mike is currently manhandling his first tour of AAA as a 20-year-old, much as he, I don't know, boy handled (?) AA as a 19-year-old last year. Do I have your attention yet? The difference being, in the ridiculously small sample we have seen so far, is that Mike is punching out guys at a much higher rate than he has in the past. That raises our "eye level" on him. We already liked him as a solidly projectable mid-of-the-rotation starter, but this raises his projectability to that of a kid who may have a higher ceiling if these gains hold. In addition to the now high K rates, Mike throws a lot of ground balls, limits his walks, and keeps the ball in the ballpark. His Kevin Brown Quotient (K%+GB%, we are looking for 75%+) as of this writing in AAA this year was 99.5%. Last year in AA it was 67.5%, but remember, we are working on very small 2018 samples. Mike has been overshadowed by Ron Acuna in the Braves' system and once you realize what he's doing to the high minors as a 20-year-old you begin to wonder why there isn't more buzz around this kid. He was a #1 pick in 2015, 28th overall. He stacks up nicely at 6-5/225 and that build manifests itself as athletic and potentially toolsy. And he's not even physically matured yet. There might be a half foot or more left to be gained on his velo. Mike is going to fill out nicely and that will increase his stamina and hopefully his durability at a minimum. If there are velo gains as well, that's just tasty, tasty, gravy. He leads with a plus fastball and backs that up with an excellent curve and change, but what makes that all play up is his height. His release point is less physically high than it is right above the shoulder. It's on top. And it annoys me, but he throws upright with a truncated follow through. That robs him of some drive I think, but it keeps his release point high, allowing him to get on top of everything. He's simple to release (which helps with his height) and everything he throws has some life and burrows, especially his curve, but even his fastball and even when he's working up in the zone, which I am told is the chic thing these days. Best of all I think he has the ability to keep hitters off balance. Things get awkward at the plate sometimes when he pitches as his (small sample) 12.9% SwStr rate indicates this year. His working downhill begets the groundballs, and some additional velo, advanced command, and ability to move eye levels and use all four quadrants could give him a solid K rate if these gains hold. Remember that Mike is still young and he may have gains left to reap. 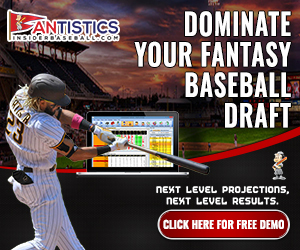 That raises him from a projectable #3 with a #2 ceiling, to a potential #2 starter. Given what I love about his mechanics, his physicality, and his baseball IQ, I am really anxious to see what he becomes as a 22-years-old, a birthday I think he'll celebrate as a veteran major leaguer. The fractured elbow of Elvis Andrus manifested itself as opportunity for 23-year-old Ronald Guzman of the Rangers. The first baseman was called up on the 12th after a hot start across the parking lot from the Salt Lick in Round Rock. At 6-5 205 I would expect a little more swing and miss than we have seen so far so that's a plus. But I would also expect more power. Scouting reports back that up. Scouts have scored him well in raw power but that hasn't translated into much game power yet, even last year after he crossed 500 effective ABs in AAA. If he needed to be comfortable before trading some contact for power, or before he could introduce more lift (he hits enough FBs, I don't see that as the issue), we would have seen it last year. This is probably not physicality or comfort-level that we are dealing with in terms of his lack of game power, this looks like an approach issue and approaches can change when you have a skill set. Ronald's hit tool is solid but not compelling. He's a solid MLB hitter, I think, in the long term. But at 1B I think I need to see more game power. That Hard% he's carrying early with the Rangers is encouraging, but it's too early to buy in this being the emergence of his power. Until I see some of that game power materialize, given his position, I have to score him as an eventually CI option.